Then God blessed the seventh day and made it holy, because on it he rested from all the work of creating that he had done (Genesis 2:3). For six years you are to sow your fields and harvest the crops, but during the seventh year let the land lie unplowed and unused. Then the poor among your people may get food from it, and the wild animals may eat what is left. Do the same with your vineyard and your olive grove (Exodus 23:10-11). Then [Jesus] said to them, “The Sabbath was made for man, not man for the Sabbath. So the Son of Man is Lord even of the Sabbath” (Mark 2:27-28). Dear friends, I am taking the next several weeks off from writing. There is a lot going on in my life that I need to attend to. My youngest son is getting married in a few weeks. My husband and I are also getting ready to sell our home in order to move closer to work. I love writing. The written word inspires me, and it is a blessing to encourage others with it. It is hard to lay it down, even temporarily. However, in the spirit of the Sabbath, I am taking a break from writing in order to recalibrate. In our fast paced culture, it is easy to give lip service to the Lord’s instructions to rest. I know that He has established a rhythm of work and rest for my good. However, it so tempting to excuse myself as an exception, and that God will understand why it’s important for me to keep going. Nevertheless, I must not fool myself that I am more than human and am above the Lord’s design. I appreciate your prayers. It is my hope that I receive fresh vision and direction from the Lord, to continue to love and serve His people. I invite you to take some time to slow down and recalibrate as well. Open your heart and mind to receive refreshing and renewal from the Lord. My husband and I sat together on our love seat, cuddling in the quiet after a long work week. I was still trying to quiet my brain and put away the mental clutter I had brought home with me, when he broke the silence. His question caught me completely off guard. It should have been an easy one to answer. But my mind scrambled to find something meaningful to say. It felt like my husband had been speaking a foreign language and I had no clue how to respond. I am an achiever. If you look at any aspect of my life, I probably have goals written down and steps to accomplish those goals. It’s energizing to check off every item as finished on my to do list. I also keep a running list in my mind. Whenever something gets done, it’s rewarding to feel the weight of it lift (for a short time until something else gets added). One of my favorite things is strategic planning, to help figure out where an organization wants to be in three to five years, and then craft action steps for effectively moving that direction. One of the qualities of a strong leader is vision. A strong leader can take a dream, translate it into vision so that others can see it, and then lead others to take the steps necessary to transform vision into reality. You can’t have vision without being willing to dream. The requirement for leaders to have vision is challenging for me. You see, I’m not a dreamer by nature. In my younger years I wanted to accomplish goals with perfection. I colored within the lines and worked hard to be noticed for my precision and skill. I sacrificed to get top grades in school and for educators to acknowledge me. I set goals for myself, for my family, and ministry, but they were always goals I knew were reasonably within reach. Dreaming was scary. Dreaming requires imagining the impossible, taking risks, and stepping out in faith, all of which I avoided like the plague. Nevertheless, the Lord has been stretching me little by little to develop vision. Because dreaming is a precursor to vision, He has also been teaching me to dream. It isn’t as scary as I once thought. Dreaming is opening my mind and heart to imagine what the Lord ultimately wants to do through an organization, a group, my family, or me. It may seem impossible or unlikely given the current circumstances, yet it reflects the Lord’s desires and will. As I continue to spend time with the Lord, the dream becomes solidified into a vision I can share with others. In Genesis 12, the Lord placed a dream in the mind and heart of His servant, Abram. Although Abram had no children, the Lord called him to leave his homeland and promised that he would be the father of many nations. In Genesis 15, He told Abram to look at the stars in the sky as a visual representation of the dream. In the proceeding chapters, Abram (renamed Abraham) took steps toward accomplishing the vision and trusting the Lord to fulfill His promise. It all started with a dream. As I have been learning to dream, I have discovered some hindrances to dreaming. One of them is operating in survival mode. It’s hard to imagine possibilities or even think positively when energy is spent to get through the day. Disappointment and discouragement have a way of stripping away faith, and it becomes difficult to see a better tomorrow let alone the preferred future. Another hindrance to dreaming is operating in achievement mode. We can become so engrossed in accomplishing the next step and reaching the next goal that we forget why we are doing these things in the first place. I was deep in achievement mode when my husband asked me about my biggest dream. We need to keep the vision before ourselves and those we lead. We also need to continue to dream for our organizations, our families, and ourselves, to listen and follow the Lord’s directions, and to be actively engaged in His will. What hindrances do you face to dreaming God-size dreams for your life, your family, your job, or other areas? Take delight in the Lord, and he will give you the desires of your heart (Psalm 37:4, NIV). Yet [Abraham] did not waver through unbelief regarding the promise of God, but was strengthened in his faith and gave glory to God, being fully persuaded that God had power to do what he had promised (Romans 4:20-21). Heavenly Father, thank You for placing me where I am for this season of my life. Help me to see things from Your perspective. Teach me to dream faith-filled dreams for myself, my family, and the various places you have called me. By Your Spirit, may I walk by faith and not by sight, trusting You to complete the work You have started. In Jesus’ name. Amen. Eliza stared at her cell phone in disbelief, and read again the text she had just received. Surely she would be able to work this out with her friend. But the message was so confusing. There had been no indication of problems in their relationship. They didn’t always see eye to eye, but Eliza thought their conversations about beliefs and ideals were engaging. Nagging doubts raced through Eliza’s mind. What had she done? Why did her friend need space? How had she offended a friend so dear to her and how could she have missed it? With a heavy heart, Eliza resigned herself to waiting until her friend was ready to talk about it. Moments later though, Eliza discovered her friend had cut all social media ties. She had been un-followed, un-friended, un-everything…without a word of explanation. What we’ve got here, friends, is failure to communicate. Communication is one of the main tasks of leaders. Without communication our team members won’t understand the vision, they won’t know how to get there, and they won’t be able to work out the kinks along the way. Communication is essential to keeping morale high and developing healthy relationships. As leaders we need to guard against the enemies that sabotage good communication. Over-spiritualizing. The Lord may have spoken an idea or direction to your heart, but it’s your job to communicate it. You have probably spent hours prayerfully mulling over the concept, but nobody else has been in your mental space or heard your prayers. Take the thoughts downloaded to you. Write it down. Talk about it. Present it in different formats. Share it with your followers. Share it again. And again. Keep sharing until they see the picture the Lord has imparted to you. Then the LORD answered me and said, “Record the vision and inscribe it on tablets, that the one who reads it may run” (Habakkuk 2:2). Assumptions. Making assumptions is one of the biggest obstacles of effective communication. 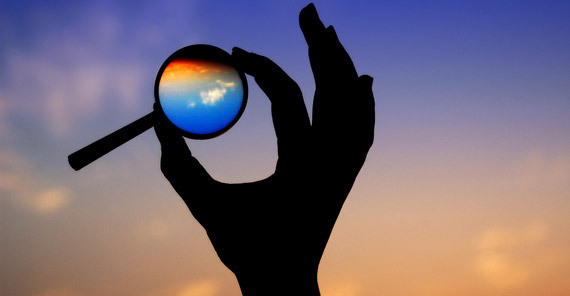 We interpret the words we hear and behaviors we see to mean something without clarifying it. Often times our assumptions lead to offense. Misunderstandings can be avoided if we take the time to graciously ask, “What do you mean by…” or “What was going on when…” A popular statement among churches today is “Speak the truth in love.” However, if you ask different people what that looks like to them, you will get very different answers. Don’t assume you’re on the same page without talking about it. Fear. The presence of fear holds us back from walking in love. We are afraid to bring up difficult issues, because we want to be liked or we don’t want to upset others (which often has its roots in wanting to be liked). We find it easier to talk to others about our concerns (to get their perspective and ask for prayer, of course) rather than go directly to the person. Or we may avoid talking at all until we feel it’s time to terminate a relationship. Leadership requires courage to do what is beneficial to our followers even if it means experiencing personal discomfort. There may be times when someone isn’t willing to communicate or refuses to address important issues, but don’t cross that bridge until you get there. When you do, God will give you grace and wisdom for the situation. Avoid the pit falls so common in communication. Love your followers (and colleagues) enough to communicate effectively. Take risks to communicate honestly and well with those you care about. It may seem to take a lot of effort and energy, but in the long run a failure to communicate takes much more time to fix. Heavenly Father, help me communicate in ways that please You and bless others. Give me courage to move beyond fear and address important issues. Thank you for guiding me to be an effective leader in each of the areas you have placed me. In Jesus’ name. Amen. It’s the weekend after Thanksgiving, and Christmas preparations are well underway. The Christmas tree is up and decorated. Most of the gifts on the gift list have been purchased, and the calendar is filled with festive activities. It’s a great feeling to make so much progress. But as I step back and admire my accomplishments, I am reminded of a more important element to consider. How is my heart? In particular, how well do I hold on to hope and pass it on the others? 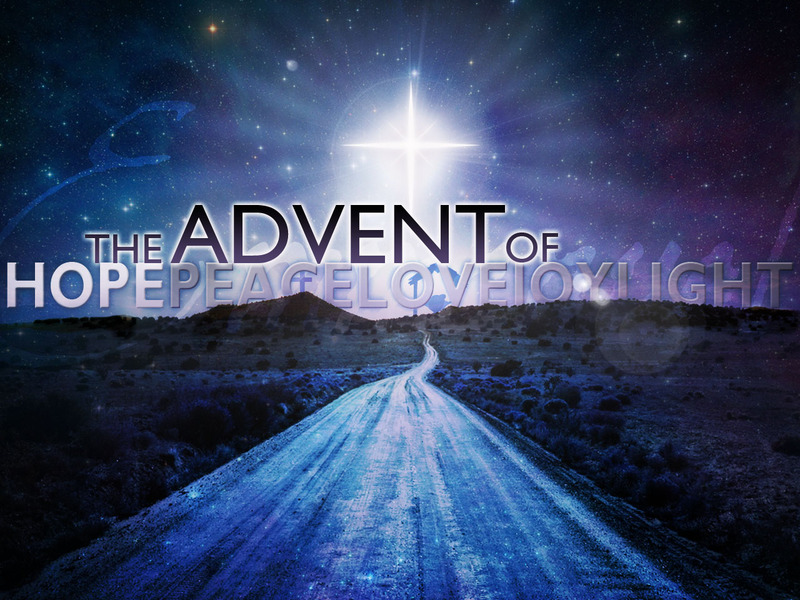 For those of you celebrating Advent, this is the Week of Hope. It’s a time to reflect on the promise of the Savior, the Light of the World. Jesus Christ is the One who gives us hope. As servant leaders we are to be examples of hope to those around us, both on and off the clock. So then, how are we doing? Therefore, since we have been justified through faith, we have peace with God through our Lord Jesus Christ, through whom we have gained access by faith into this grace in which we now stand. And we boast in the hope of the glory of God. Not only so, but we also glory in our sufferings, because we know that suffering produces perseverance; perseverance, character; and character, hope. And hope does not put us to shame, because God’s love has been poured out into our hearts through the Holy Spirit, who has been given to us (Romans 5:1-5). How do you rate when circumstances are bad as well as good? How focused are you on people? How determine are you to move forward? How well do you accept change? How strong is your sense of purpose? Hope is vital to vision. You cannot have one without the other. God is the author of hope. He came to this earth as the Redeemer to give us hope and to grow hope in us. This Advent Season, trust Him to grow hope in you. Jesus Christ, Light of the World, I hope in You. Thank you for coming to this world to save me from my sins and to give me new life. Help me to keep Your kingdom in focus. Give me your hope and renew my vision. Empower me to make hope strong in my heart, as I remember that I stand by your grace and have your love. In Jesus’ name. Amen. A lovely young woman sat in my office, her face aglow as she described God’s call to her to minister to women. She had returned from the mission field and the Lord had shown her through a series of miraculous events what she was supposed to do. We talked about specific ways she could fulfill this call blazing in her heart, and we made arrangements for her to serve. Several weeks later the same woman was back in my office, this time with tears in her eyes. She was burdened with sorrow, as she poured out her confusion. God had clearly spoken to her and had given her direction, but now she was filled with doubt. Things in life didn’t look the way she thought they should and she wondered if she was really making a difference. What happened to morph such excitement and resolve into discouragement and doubt? God’s call to a ministry or position can indeed be exhilarating. It is so exciting to hear from the Lord, to be given a mandate and vision, and to have it confirmed through His Word, circumstances, and trusted advisers. Inevitably, though, excitement wears off, and the call that was so fresh may become stale. As you encounter difficulties, challenges, or even the mundane, it is easy to wonder if God has suddenly changed His mind. Reverend Nicky Gumbel, the developer of the Alpha Course, wisely teaches that God doesn’t call us out of things. Rather He calls us into things. When life gets hard and doubts arise, rarely is that evidence of God calling you elsewhere. So how can you be faithful and move forward? It is important to remember that walking out our call is filled with ordinary moments. Even the miraculous ministry of Jesus Christ had times of fatigue and hunger, when He had to deal with feuding disciples or disgruntled people, when His ministry was largely misunderstood. In the midst of “non-miraculous” situations, Jesus Christ kept His mission in focus. What has God called you to do? What has he placed on your heart as a mission? How can you keep it in focus? I highly recommend that you write it down and describe how it unfolded. Keep it where you can access it easily. When things get hard or you become weary of the ordinary, read it for clarity and inspiration. Take time to revisit your call, renew your commitment, and ask the Lord for wisdom and strength to accomplish what He’s asked of you.